Hey there! I am back with yet another interesting post to the Paleo diet education series. Well, we have already talked about the principles behind the Paleo diet, how it works to improve health and lose weight, and we've even discussed findings of research studies. Important Questions To Ask Beforehand? So, I know we've covered some aspects of those questions and I've touched on all of them more or less, but for this post I thought I'll go deeper and give you a few key scientific facts about why the Paleo diet is healthy. Why Is The Paleo Diet Healthy? PREVENTS CHRONIC DISEASE. Because of the naturally low glycemic index food items advocated by the Paleo diet, followers have been found to have lower blood sugar, cholesterol and blood pressure levels after sticking to the diet for some time. Research has shown that it prevents several debilitating conditions such as diabetes, hypertension and obesity. REDUCED LECTIN CONSUMPTION. Lectin is a protein commonly found in grains, legumes, potatoes, and dairy. Lectin triggers intense gastrointestinal manifestations upon ingestion. Fortunately, just by following the Paleo diet, and by going all natural, you would automatically be avoiding food types that contains lectin. REDUCED GLUTEN CONSUMPTION. Gluten is one food component that is effectively avoided by following the Paleo diet. This helps prevent certain thyroid diseases and other malabsorption syndromes. PROMOTES WEIGHT LOSS. We've already covered this but I think it's worth highlighting it again since this is one of the main reasons why people get on specific diets and make lifestyle changes. This is certainly one great reason why the Paleo diet is healthy and good for you. Because of the greater amounts of high protein, organic and raw food types that the Paleo diet consists of (and not carbohydrate rich foods), you would naturally feel less hungry and feel “full” quicker after meals, and also be increasing your metabolism to digest the high protein food types. All that combined naturally “makes” your body begin lose weight! Finally, apart from feeling more refreshed and rejuvenated, these Paleo diet benefits are only a fraction of all the reasons why the Paleo diet is good for you. Andrew Rubacalva, a Paleo expert, laid it out the best. The answer to whether the Paleo diet is healthy and good for you, and whether it will work for you is a percentage breakdown. I'm sure you'll agree that most people (perhaps even you – I know this is true of myself), tend to get excited about making a change and improving their lives. We tend to get excited when we find an effective way that has been shown over and over again to produce the results we are looking for. 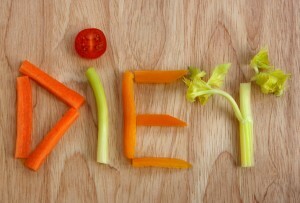 And when we get excited enough, we make the “shift” to the new way, or to the new diet plan for example. But the reality most of the time is, the motivation and excitement wears off slowly and naturally. Then we begin to cheat. We begin to eat the food types that we know are not going to support our health nor our goals. And that's fine – cheating on the diet, a little here and there. We're only human and the best thing about the Paleo diet has always been it's less stringent and more relaxed rules and guidelines. But the quote from Andrew Rubacalva was speaking directly to how much you're going to cheat while you're on the Paleo diet (or any other diet for that matter) and how that will affect the results you get. We know it's healthy, we know it's good, and we even know it works. Research and studies have proven all that. 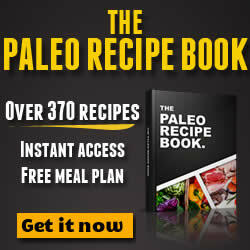 There are people all around the World and from all walks of life who have committed to the Paleo diet and have seen amazing improvements in their health and body. Whether they are just regular people who live simple lives and work out minimally, or whether they are more dynamic, high energy consuming individuals like endurance athletes, the Paleo diet has been working for them. Now, I guess it's up to you to decide whether you are willing to make it fit into your lifestyle or rather adjust your lifestyle to make it fit with you. Only once you're on the Paleo diet will you be able to experience the results yourself.